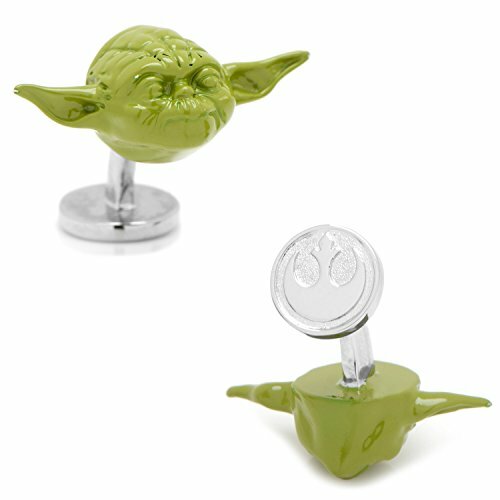 3D Green Yoda Head Cufflinks. Approximately 3/4" x 1/2", Palladium plated base metal with green enamel. Fixed logo backing. Officially licensed by Lucasfilm Ltd.